Does Walmart’s “Savings Catcher” Actually Work? If our readership understands anything, its fanatical devotion to one product and an almost equally fanatical need to make stores follow their own policies. That is how Tom got in serious trouble with the employees of his local Walmart. Or did the local Walmart’s employees get in trouble with Tom? 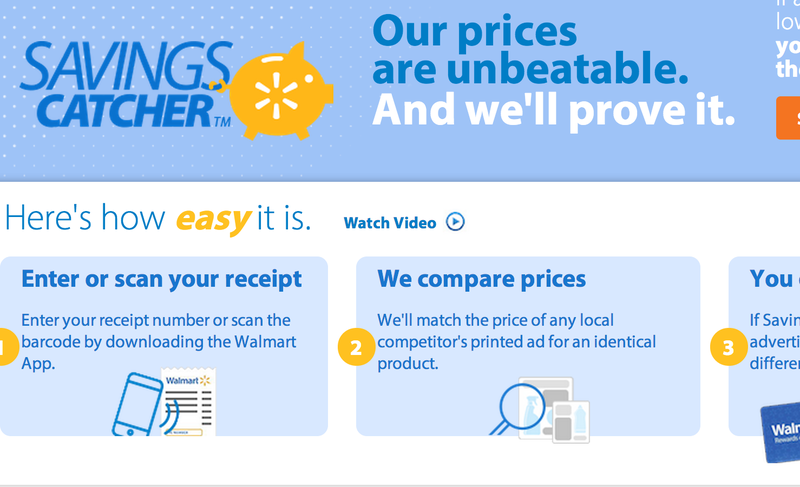 Walmart promises to price-match local competitors, including the prices with loyalty cards. Except, apparently, when it comes to Pepsi. For Tom. Should Travelocity's "TotalPrice" Guarantees Cover Mandatory Surcharges? A class action lawsuit has been filed in Illinois against Best Buy. The suit’s claims? That the company has an official policy against price-matching their own web site. You don’t say. That claim of a special Intranet site to prevent price-matching against the chain’s Web site sounds familiar. So do most of the suit’s allegations, for loyal readers of Consumerist. Molly just bought an iPhone 3G, only to find out Monday that Apple would be releasing a better, faster, more compass-y phone, the iPhone 3 G S, June 19. She had two options — keep the suddenly not-so-new-seeming iPhone 3G while pining for the newer, hotter model, or head to the AT&T store and regulate. Does A Store Have To Price Match Their Website? Here’s a question we get a lot. Are stores required to price match their own website? Office Depot didn’t want to accept Chaz’s OfficeMax coupon for $20 off his $259 printer, so they told him that competitor’s coupons didn’t apply to technology purchases, which is an utter lie. Office Depot’s policy is to accept competitor’s coupons, subject only to the terms and conditions of the coupon, a simple concept Office Depot apparently can’t understand. Ever wanted to park in the handicapped spots but didn’t because of pesky laws and social norms? Well, if you place your online Circuit City order for pickup at the Cantonsville, Maryland store, you can! Reader Andy discovered that the store is flagrantly violating the Americans With Disabilities Act by using the handicapped spots as the special web order pickup zone. Andy then went inside and discovered that Circuit City ignores all kinds of policies, including their own price match guarantee. The Best Buy in Secaucus, NJ refused to match J&R’s price for a Bluetooth headset, claiming that J&R was not covered by Best Buy’s price match guarantee. Best Buy employees first called J&R—a large New York electronics retailer—a wholesaler. A manager later insisted that J&R was a Mom & Pop store and refused to match the lower price. When reader Steven attempted to cut through the absurdity by calling corporate, he was told that the price match is provided at each store’s discretion. Read his full story, inside.